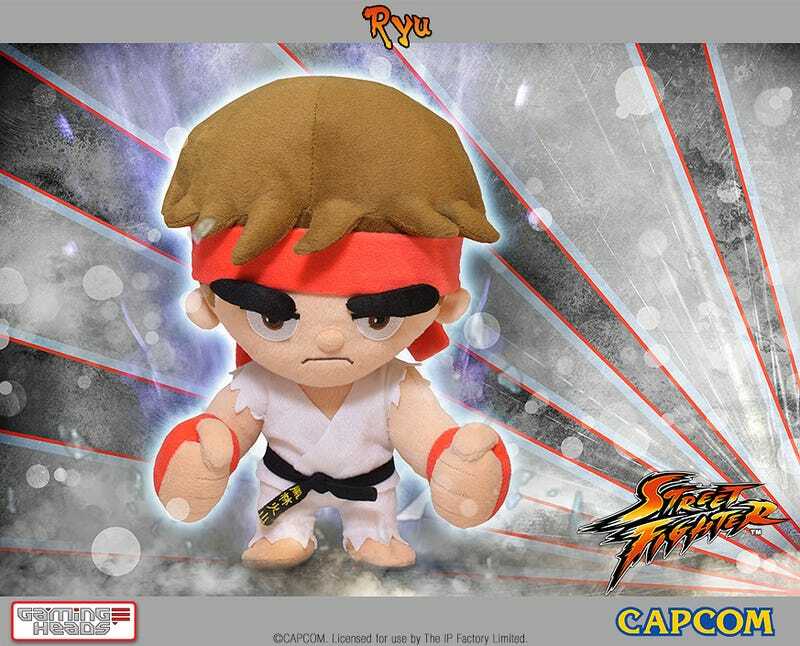 The lightest contact with Ryu's eyebrows from Gaming Heads new line of poseable Street Fighter plushies can probably render a normal human unconscious. What hidden powers do Ken and Chun-Li possess? Rather than simply stuff some cloth with fluff, Gaming Heads fitted each of the new $19.99 plushies based on the legendary fighting game series with internal skeletons. Like external skeletons, these allow the characters affect poses. Unlike external skeletons, these plushies are freakishly cute. Ken's special power is his obvious dye job, because no one has eyebrows that dark and thick with natural blonde hair. And Chun-Li's power is, of course, those meaty thighs. Look at those things. How can an internal skeleton even function in there? These adorable little freaks are the the first in a series that can only grow more entertaining as it continues. Chun-Li, Ken and Ryu are available right now.